The staff at Malaco Studios, including assistants and runners, are available 24 hours a day. All offices contain high-speed Internet and WiFi access. Additionally, we are stocked with all the necessary office supplies, including a copier and fax machine. Guests may also receive daily deliveries from UPS and FedEx. There is plenty of secure, gated parking for buses, vans, and trailers. 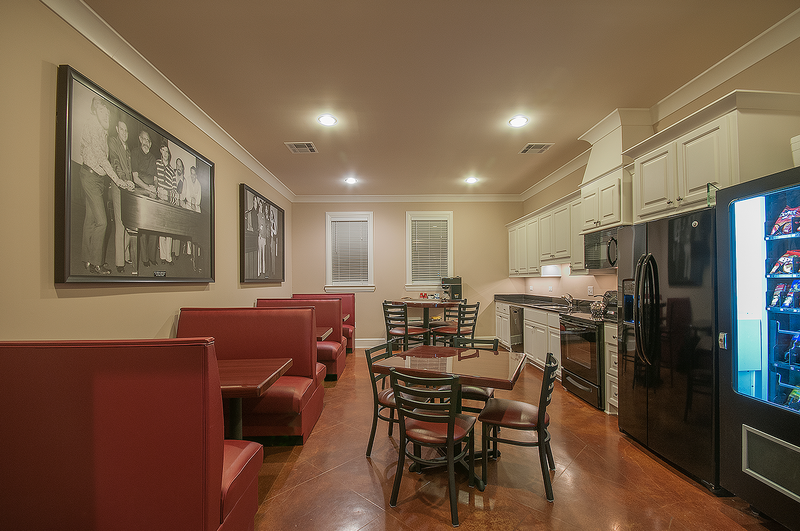 We are equipped with a fully functional kitchen as well as restaurant-style seating for meal times. We also offer catering services, but all guests are welcome to cook for themselves. Between meals, this area is also a great place to grab a quick drink and relax. All guest offices come fully furnished with access to both a television and computer. These are great spaces to handle business or even unwind from a hard day’s work.